breath * life * flow: would you like a little rose with your kai? would you like a little rose with your kai? 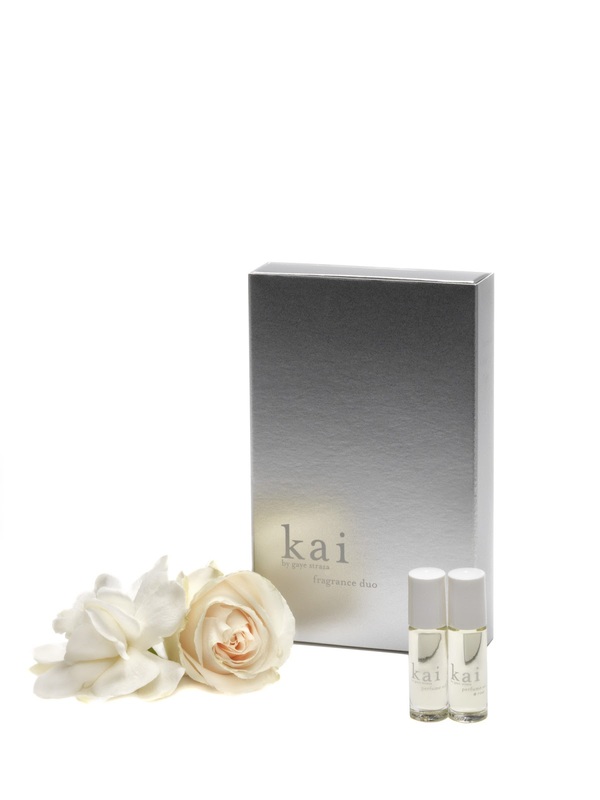 in staying with the direction of keeping true synchronicity the focus of our line expansion, we have just started shipping our retailers a new gifting idea that i happen to think turned out pretty brilliantly: the kai fragrance duo. kai is now offering our original roll on perfume oil packaged alongside our newest baby, kai*rose, to be worn together or mixed and matched as desired. presented in gift-worthy packaging in a beautiful chic, metallic box, we find it perfect for a quick and easy holiday gift for the kai lovers in your life. as the entire idea behind the kai range is to be able to layer from morning to night, shower to sheets, kai*rose yet again complements our original kai with the idea you could become your own "nose" by adding a bit more here and less there; the scent can take you to an entirely different mood from work to dinner. one a bit more playful while the other is a tad more sophisticated. slightly precious while still being fun enough for those of us tomboys.